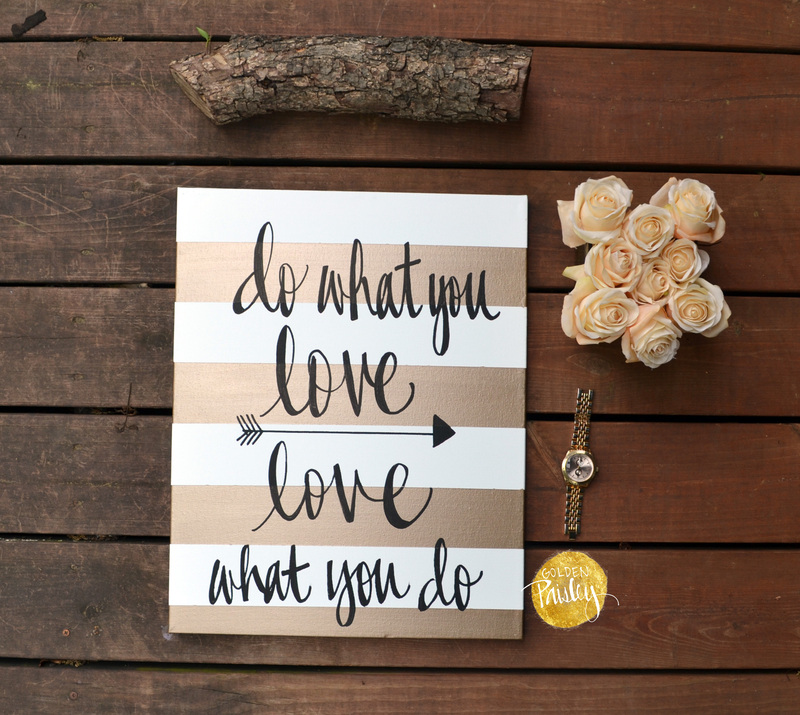 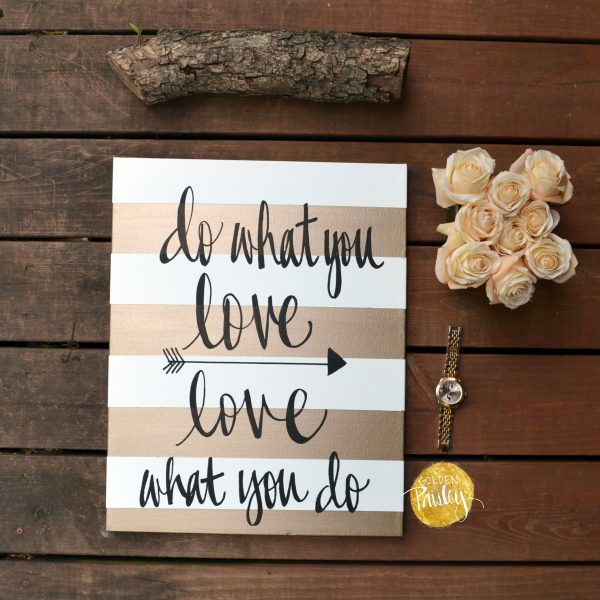 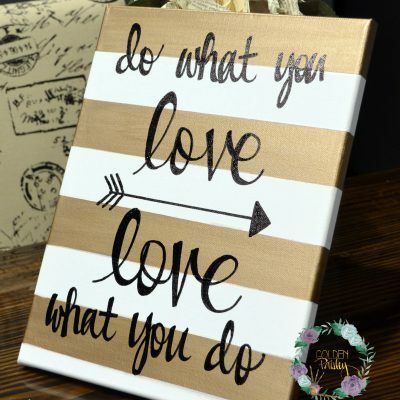 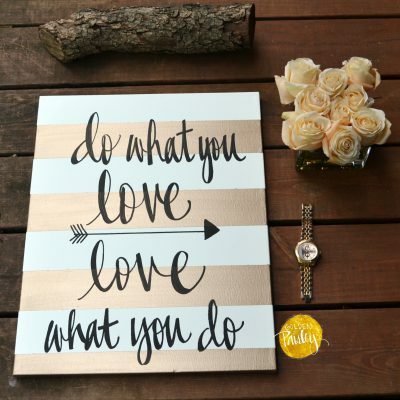 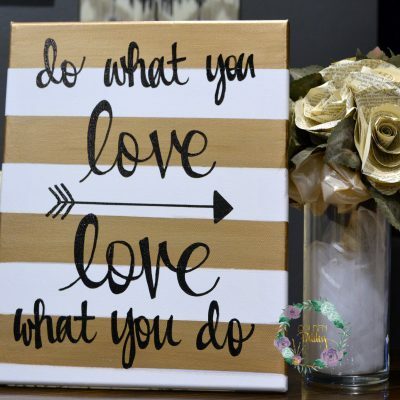 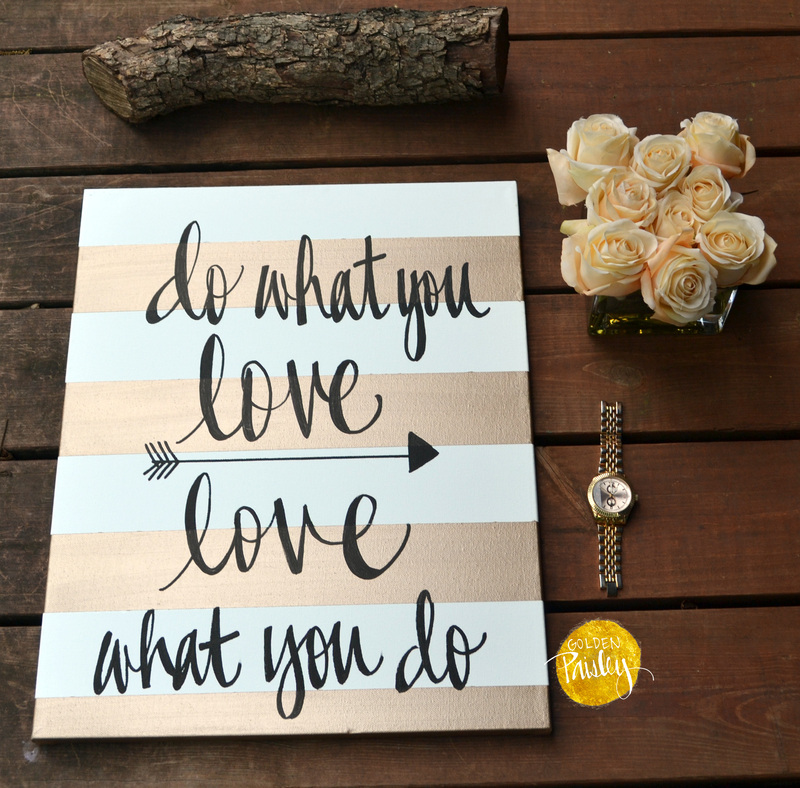 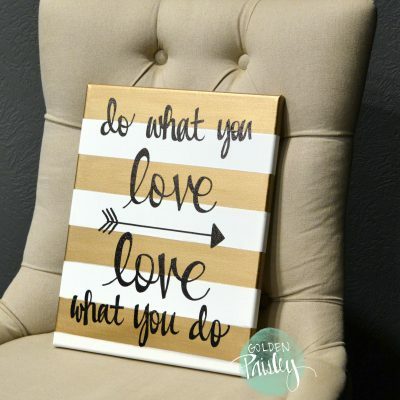 This trendy and beautiful canvas features a bold and trendy antique gold and white stripe with black text, with the inspirational phrase “Do what you love, love what you do.” This inspirational art is the perfect art for a studio or office space. 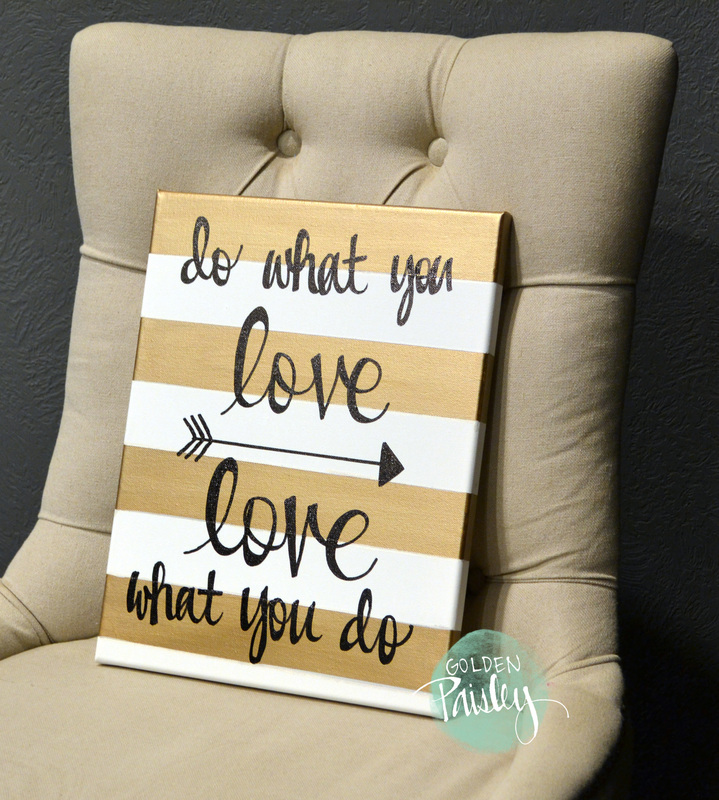 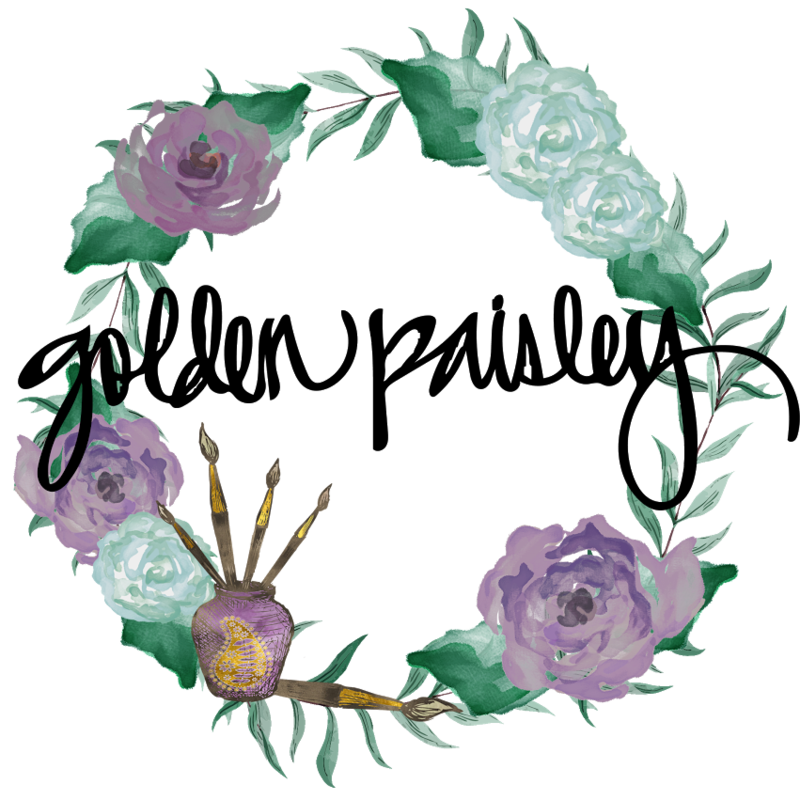 The trendy colors make it the perfect decor for a fashionista on a mission! 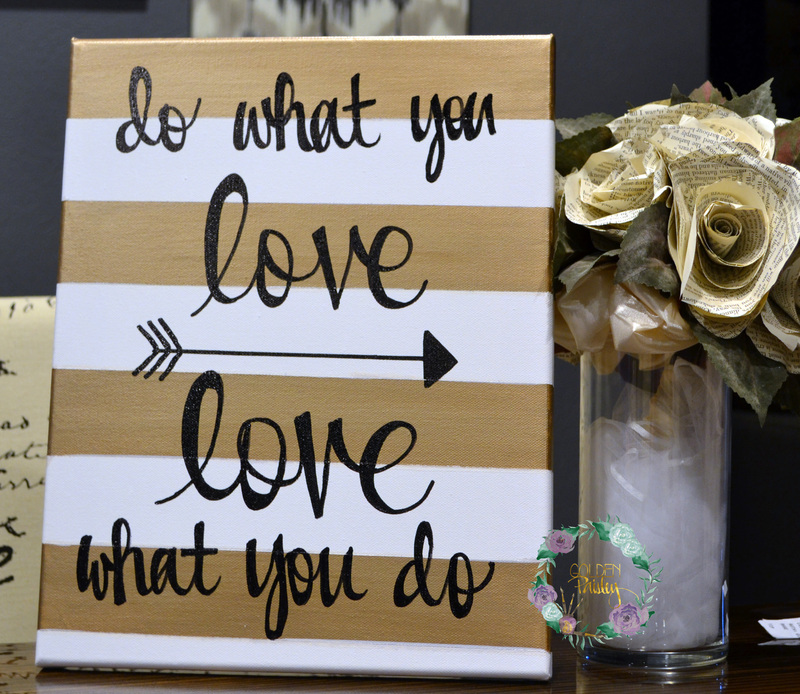 This canvas is completely handpainted, not computer generated, and includes hanging hardware on the back. 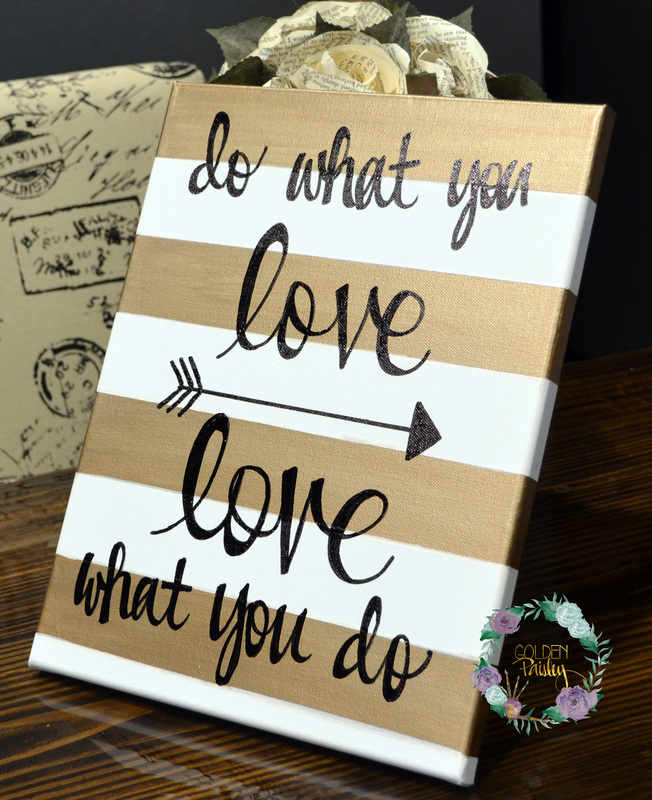 Canvas comes in two sizes: see drop down menu above “add to cart” for sizes and pricing.